Hello friends! 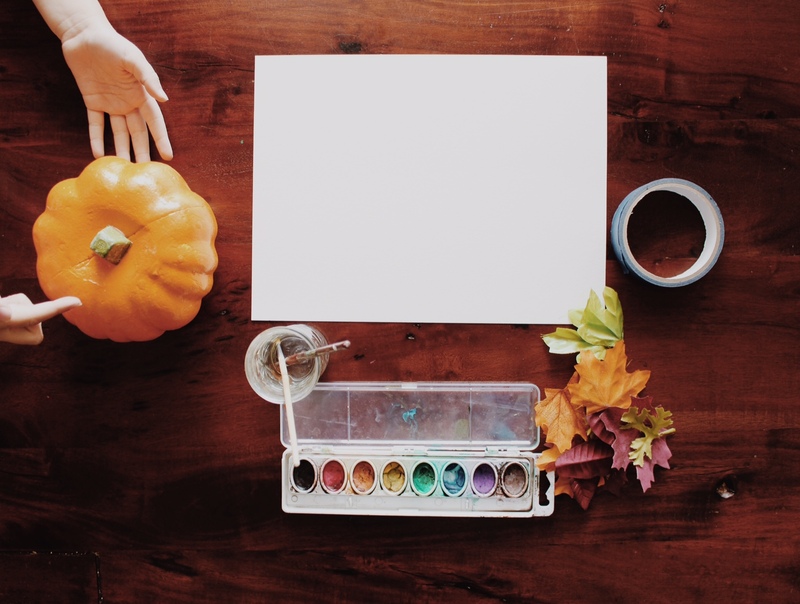 Time to celebrate Fall with beautiful leaf colors; along with warm drinks like coffee and tea and savory soups, fall leaves are so symbolic of the change in the air. 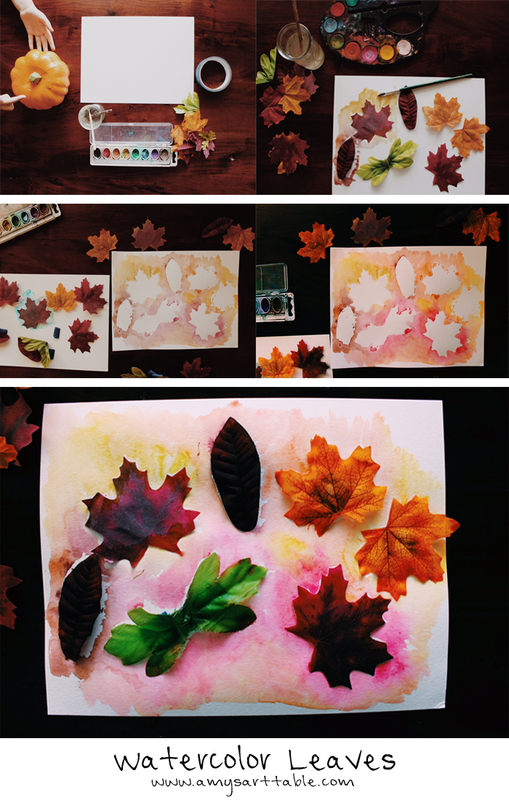 This week, I have a super simple watercolor leaves project to share with you. Both of my girls loved this project and had different interpretations of it, one toddler version and one school-aged. 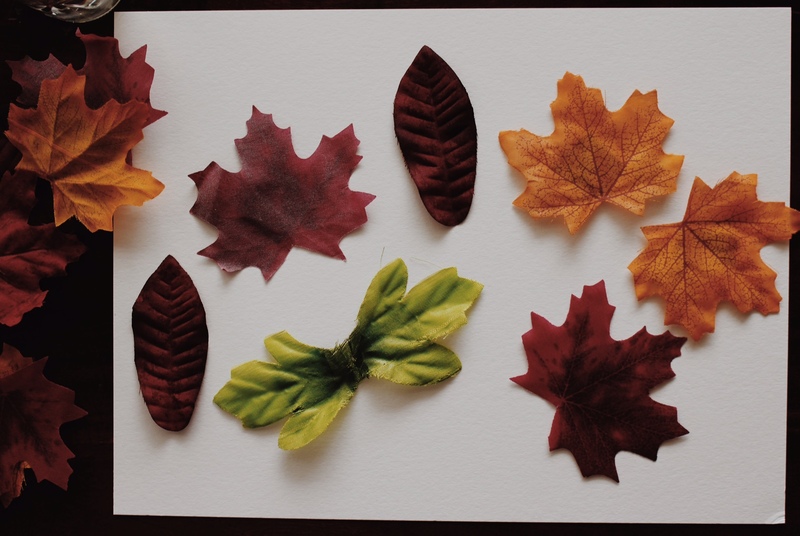 We used some fake leaves for this watercolor leaves project but you could easily use real ones. 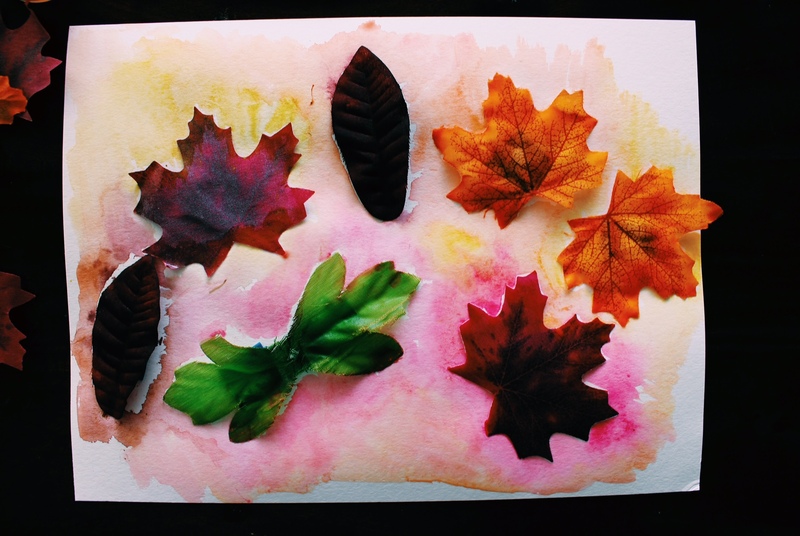 All we did was use painters tape to affix the leaves to the watercolor paper temporarily and then watercolor right over them. When you take the leaves off a pretty leaf silhouette is left! 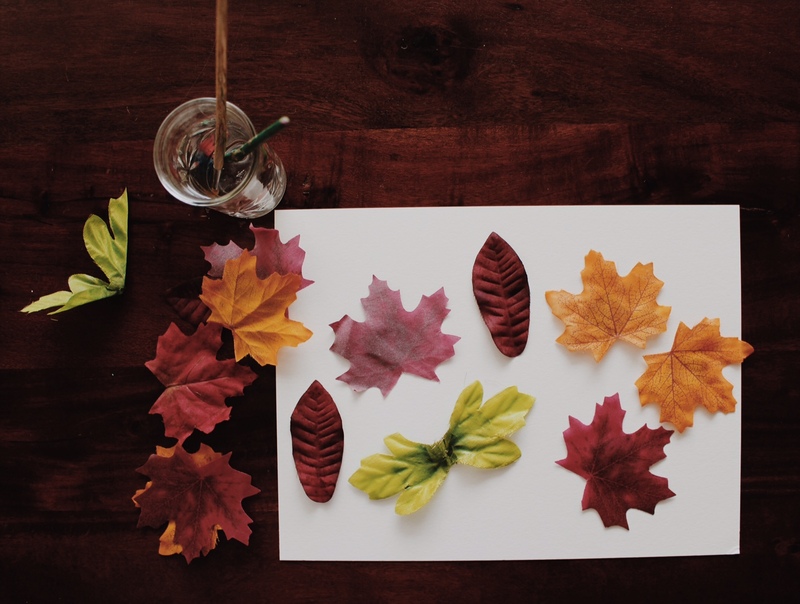 My older daughter wanted to try using the supplies to make her own fall leaf picture and that turned out to be a fun side project. 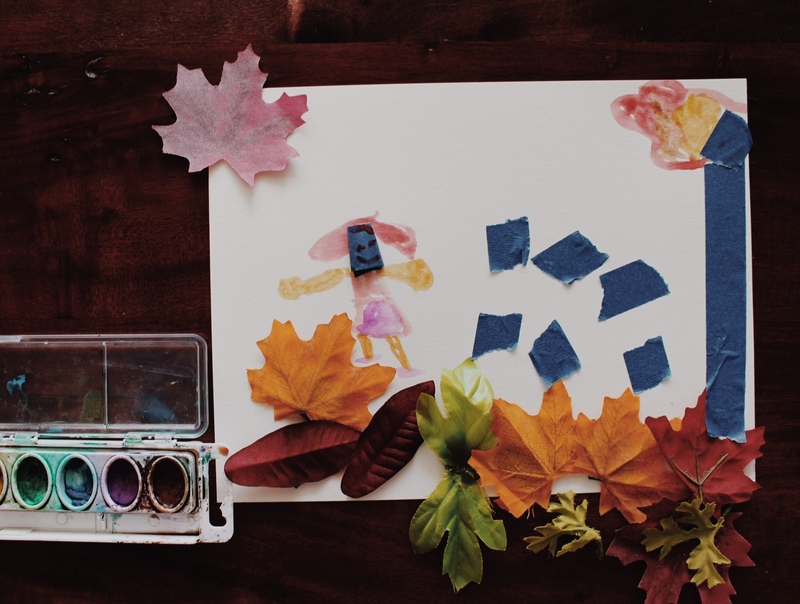 She is always so creative with the supplies I lay out for her, reinterpreting the project in her own way– exactly what I secretly hope for! I love to see her learning and creative thinking come to life through these open-ended projects. 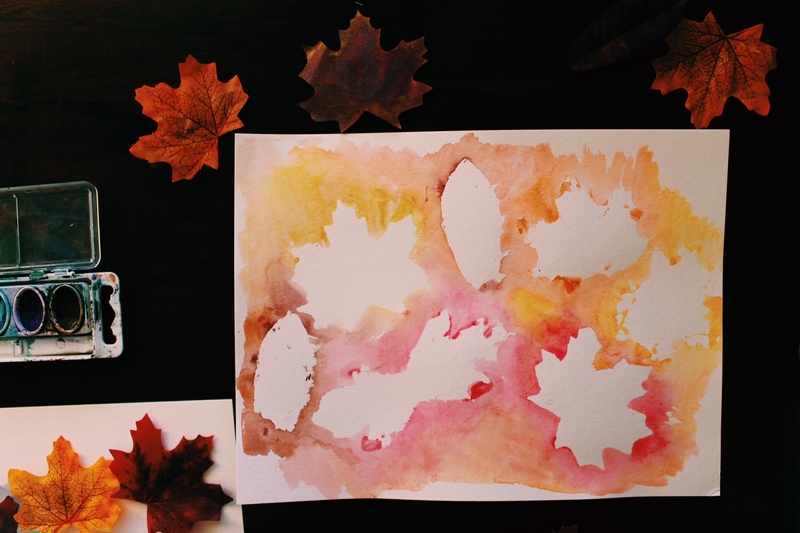 You can download some of my free watercolor printables on the site right now and use them to decorate for fall! This week, I’ll also be talking about getting your business/home/life organized! We can all use some help organizing and getting our goals in order right? 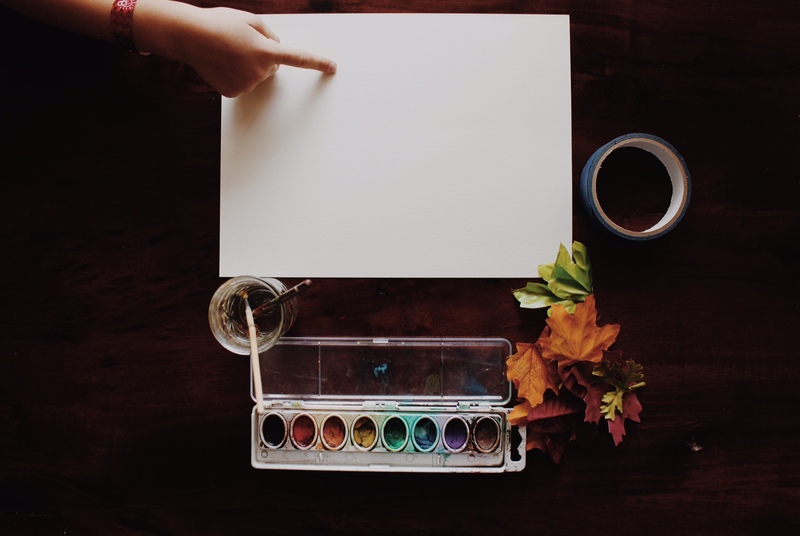 Creative business owners and parents can both benefit from setting goals and getting organized so I want to devote at least a little bit of time to this topic as we go into the busy season. Fall time always makes me recheck my priorities and goals going into the busy holiday/winter season. I’m going to share a few tips on how I stay organized and productive with my home/work/life and hopefully how you can too! 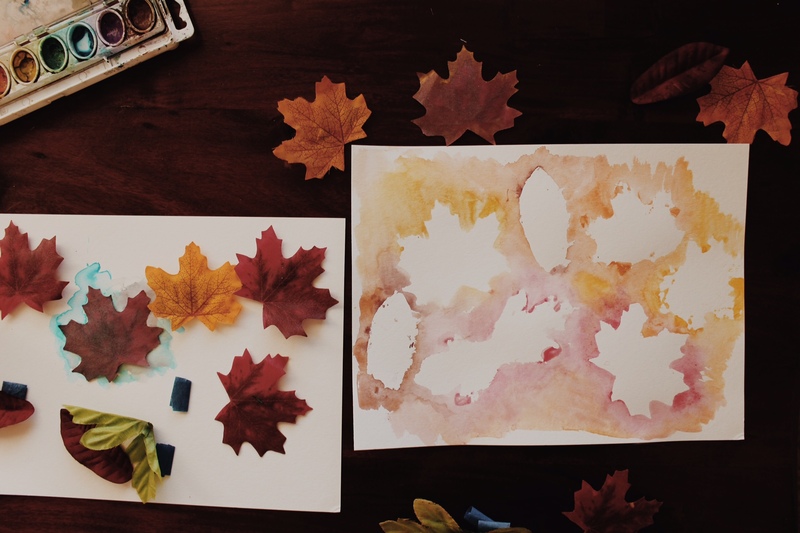 Being organized helps me to incorporate projects like watercolor leaves and art lessons into my week with my kids which is probably my favorite thing to do during the week. Having that uninterrupted creative time with the girls is just priceless and something I really hope they remember when they’re older. 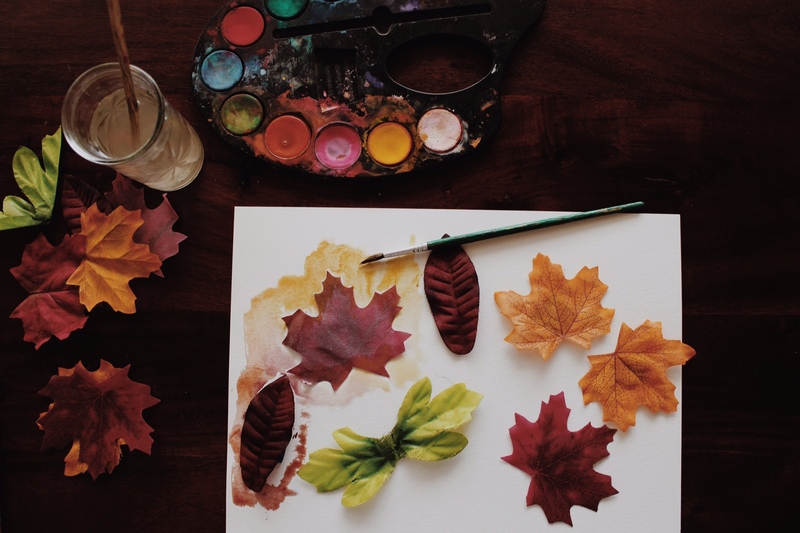 How do you find time for hobbies in your week? What are you struggling to fit into your schedule? This project is fun and pretty. thanks!! Yeah it turned out pretty!